Marjorie Gawlicki passed away peacefully on Friday, February 24, 2017 with her daughter Kimberly Cox by her side. 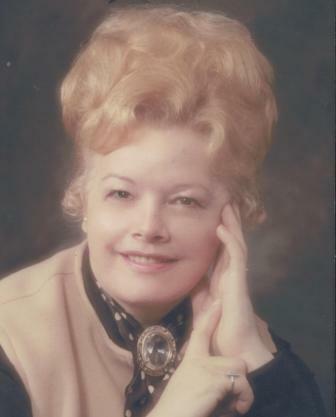 Marjorie was the loving wife of the late Frank Gawlicki. Daughter of the late Harry and Marie Williams. Sister of the late Rose, George, Barbara and Marie. Mother of Kim, Wayne and Warren Cox. Grandmother to Dale Eddy Cox and mother-in-law to John Lowe. She will be greatly missed by many nieces and nephews in Ontario. Marjorie will be remembered for her kind and generous heart, keen sense of humour, and her devotion and unwavering positive outlook in helping others in her career and in life. Thank you to Gemstone Care Centre where she resided. We will be having a Celebration of Life at River Hills Homestead, 4077 Shuswap Road East, Kamloops, BC, on August 5, 2017 at 2:00 p.m. Please join us in our remembrance and gratitude. For RSVP and directions, please email Kmcox@telus.net or phone Kim at 250-573-3179. Our deepest condolences in the loss of your Mum! Such a lovely lady!